Gritty Ganta: The Liberian Town That Can't Catch A Break : Goats and Soda Bedraggled Ganta sprawls over red-dirt hills. Buildings destroyed in the civil war have not been rebuilt. 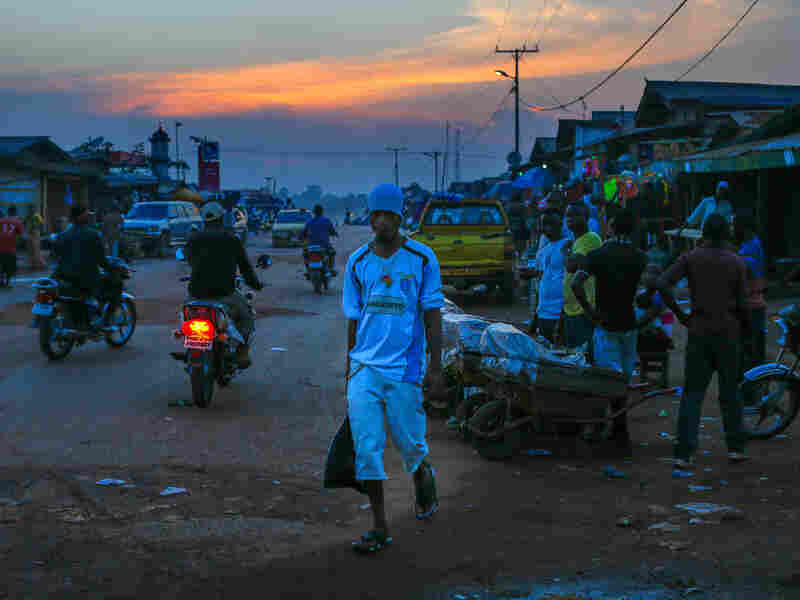 And now the border town is suffering again in the battle against Ebola. The Liberia-Guinea border has been closed since the early days of the Ebola outbreak. The Liberian city of Ganta — about a mile from the border — has historically been a hub of commerce, and was hit hard by the closure. It's also a city that has seen its share of tragedy. 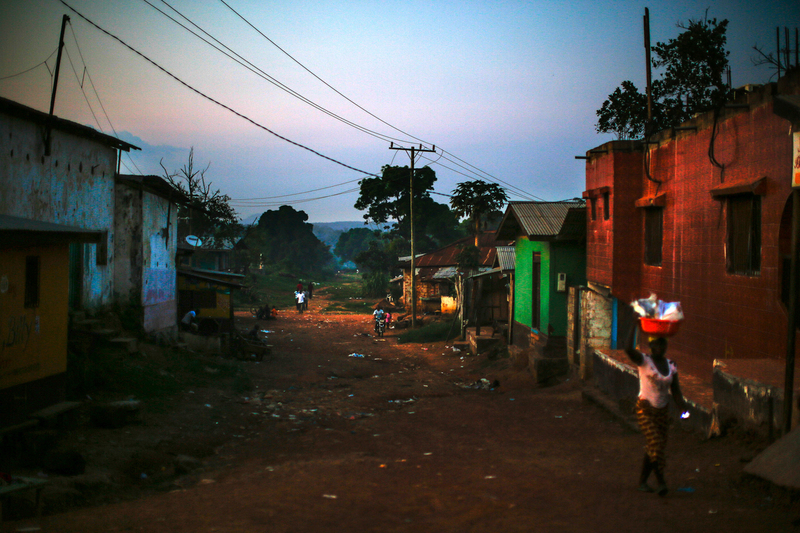 The scruffy town is located in Liberia's eastern Nimba County, where the country's brutal civil war started in late 1989. Many buildings were destroyed during the conflict and remain gutted; others are still pocked by artillery and mortar fire from the war. And there's been little investment in the gritty city since the conflict ended more than a decade ago. Potholes nearly swallow up vehicles. 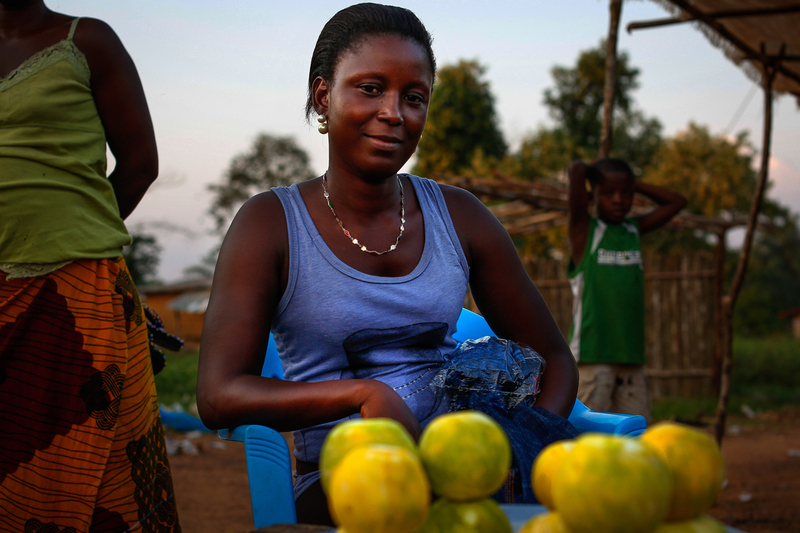 Just off Ganta's main street, 18-year-old orange seller Bebe Gono says she's struggling. "We are trying to find the little we can afford," she says. So even before Ebola, Ganta was struggling. And now the virus is taking a toll. For many people, there's very little business right now. Ebola is the reason: The border with neighboring Guinea was closed in July to prevent possible spread of the virus. Just a hundred yards from the St. John River bridge crossing, young men play whist under the shade of a mango tree. They used to be money changers. A very unhappy Prince Dolo says the outbreak put an abrupt end to their livelihoods: "I have nothing to do. Border is closed. And I'm vulnerable and unemployed. I'm not happy. Without the border, Ganta is just dead." Just off Ganta's rutted, red-dust main street, 18-year-old Bebe Gono, who sells ready-peeled oranges, says she's struggling, just like the city. "We are trying to find the little we can afford." Comparing Liberia's civil war with Ebola in her town, Gono says both have been difficult: "Ganta has suffered a lot. We've lost a lot of people to the war and we've also lost a lot of people to Ebola. As compared with the war, Ebola is worse." Gono never went to school and can't read or write. But true to the entrepreneurial spirit of her town, she has dreams of a better life. If she had a little money, she'd like to open a business in the city that never sleeps. The border closing has cost many people their jobs. 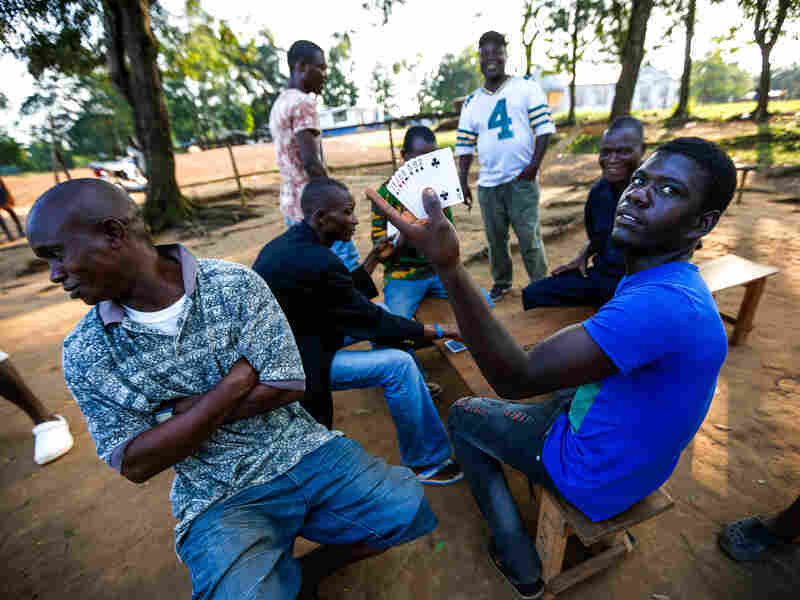 A group of now-unemployed men still gather at the border each day to play whist. 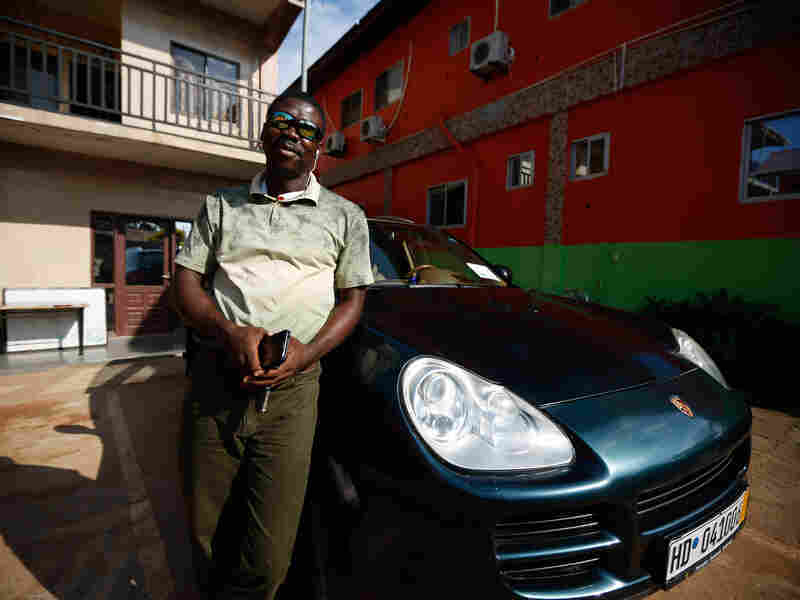 Prince Haward owns the Alvino hotel in Ganta. Even before Ebola, gritty Ganta was struggling. Yet he says it remains a major crossroads. "People from the southeastern region, they must transit in Ganta. People from Monrovia, they must transit in Ganta. ... Ganta is a nonsleeping city. ... This is what Ganta is known for — a business-oriented city." 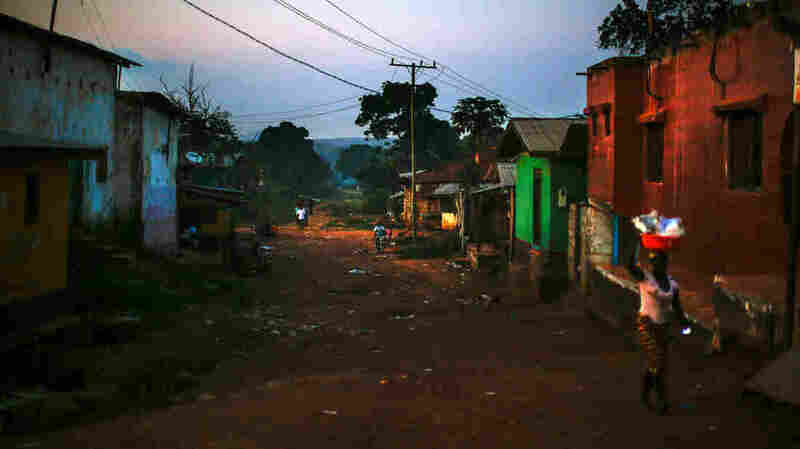 The main street in Ganta, Liberia, at dusk.